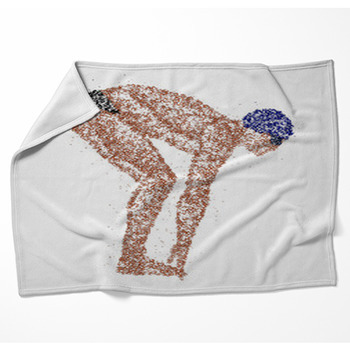 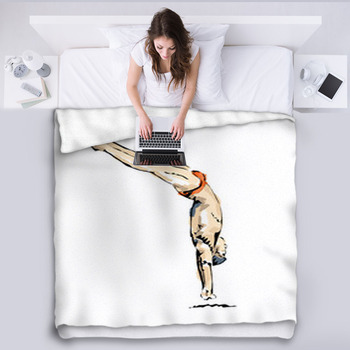 Whether you're the lucky one who gets to snuggle up to Michael Phelps after his history-making performance at the London Olympics or among his competition, these custom size swimming themed blankets bring that medal-winning high performance to your bed. 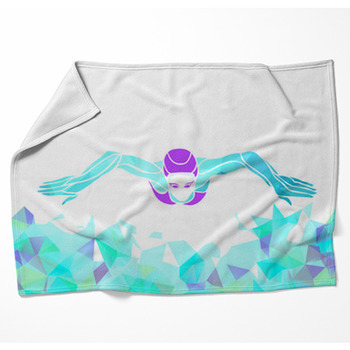 Maybe you're supporting a youngster who seems unusually dedicated to swimming, rising early and diving into chilly pools on cold mornings to train for an upcoming meet. 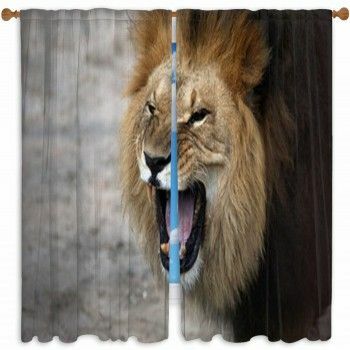 Maybe you're the next generation of Olympics competitors, keeping your sights on your goal and the determination it will take to achieve it in full view. 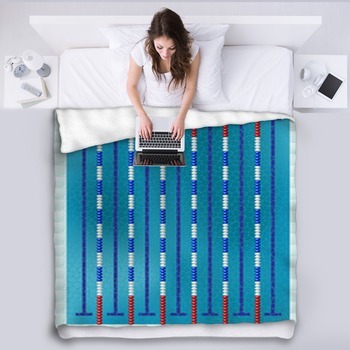 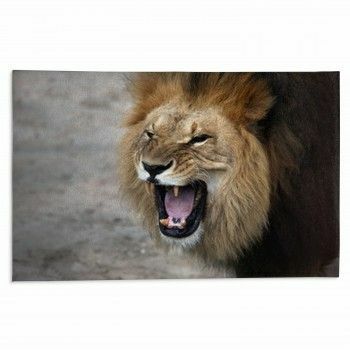 Whatever the case, these custom fleece blankets let you keep the pool and the competition in sight. 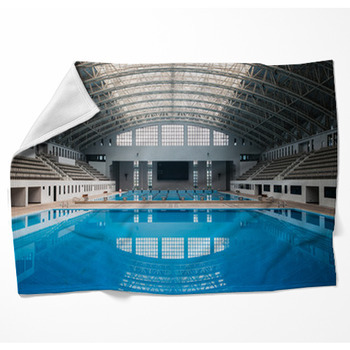 Get a good look at the competition with a swimmer in black cap and goggles surfacing from a pool of turquoise, water dripping from arms about to lift him out of the water like wings of a butterfly, on a custom fleece throw blanket that you can take with you to the pool. 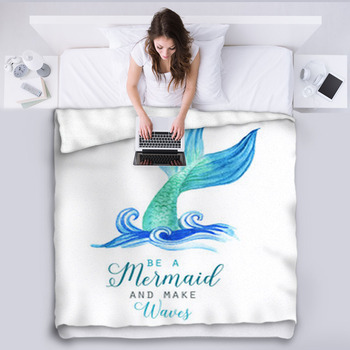 Get ready to feel that cool aqua water sparkling below you slide over your head and body, wrapping you with its liquid shine and letting you slip through it with that first long stroke, on a custom swimming blanket. 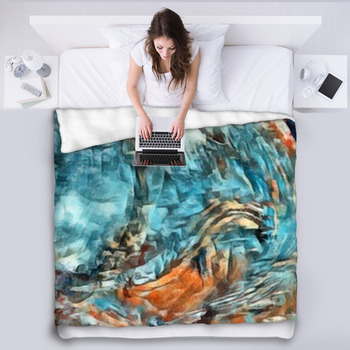 Look up at pale ghosts coming and going in a pool of aqua, trailing white bubbles at the surface and straight arrows between gold lane markers and a red divider on a custom size bed blanket. 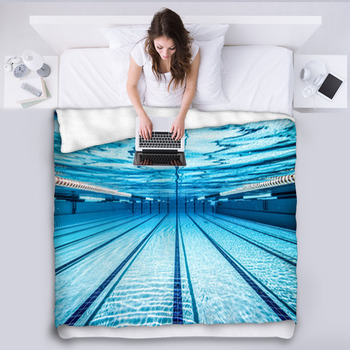 Stretch just the pool out on your bed, the red-white-and-blue of its lane dividers floating like balloons on sparkling aqua, the black and blue stripes painted on its bottom angling to the turning point. 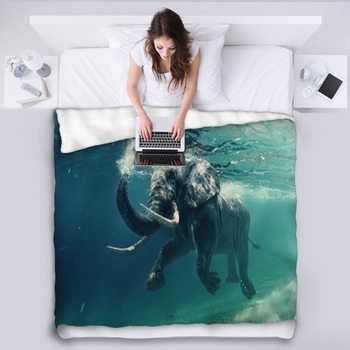 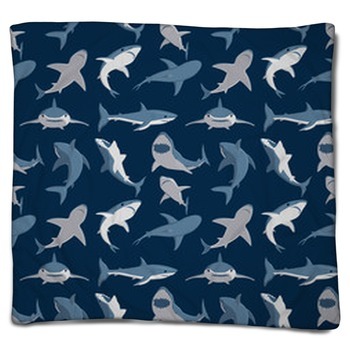 Make your choice of custom blankets a swimming success.